Below you can find the tours to Turkmenistan. 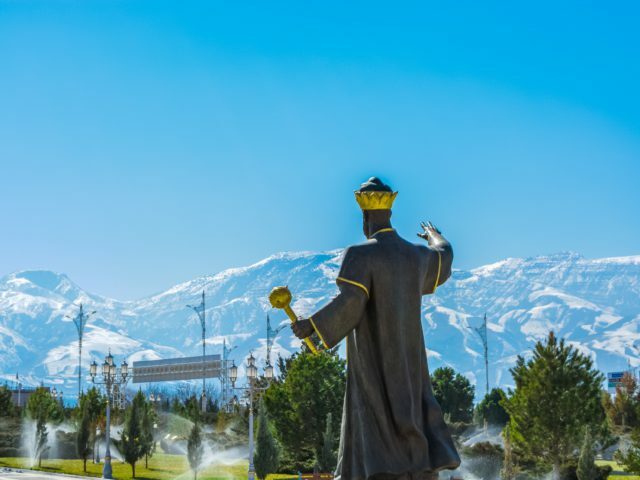 Each tour will give you a unique experience and will acquaint you with the history, culture and architecture of Turkmenistan. You will have the opportunity to plunge into the ancient history of the fortifications of Nisa, Merv, Kunya Urgench and Margush. Visit mosques and minarets erected hundreds of years ago. Take a dip in the warm medicinal waters of the underground lake Kov Ata, known as Bakharden lake. The rock of Yangi Kala, known as the “Fire Fortress”, creates a wonderful sensation of unearthly origin. The Caspian Sea will meet you with golden beaches and a light sea breeze. In the heart of the Karakum desert you will see the famous gas crater in Darvaza. At night, it lights up the starry sky and enchants with the captivating tongues of flame that stretch upward. You will especially be pleased with acquaintance with the Akhal-Teke. One of the three purebred breeds of horses, the history of which is several thousand years old. It is impossible not to like these horses. In the east of the country you will find the ancient cities of Merv and Margush. Many hundreds of years ago there was one of the ways of the Great Silk Road. Well, in Ashgabat, the capital of Turkmenistan, you will be able to appreciate the white marble appearance of the country’s main city. Unforgettable journey through Turkmenistan. You will visit ancient cities, beaches of Caspian Sea, Karakum desert with “Gates of Hell” near Darvaza, ancient cities of Merv and Kunya Urgench. A tour through the Turkmenistan, to the ancient cities of Nisa, Merv and Kunya Urgench. You will visit largest museums of Turkmenistan with thousands of exhibits. Capital of Turkmenistan Ashgabat, with stables, biggest bazaar in Turkmenistan. 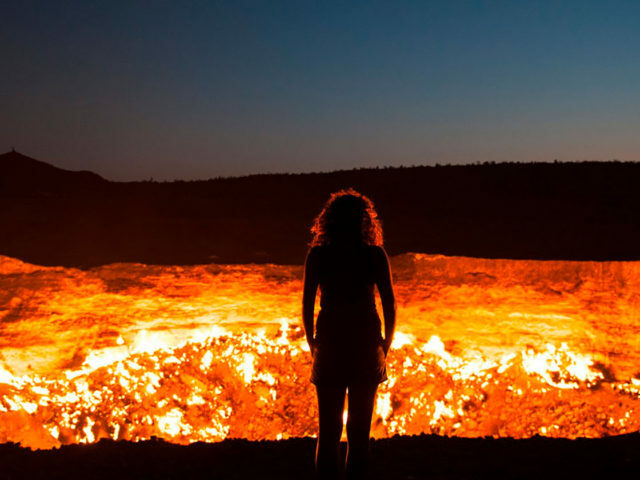 And the final destination of your travel – gas crater in Darvaza, also known as Door to Hell.